A modern approach to simplify registration, scheduling, and tabulation to help your event run smoother than ever! DanceSync is designed to be simple and clean with an easy to user interface. 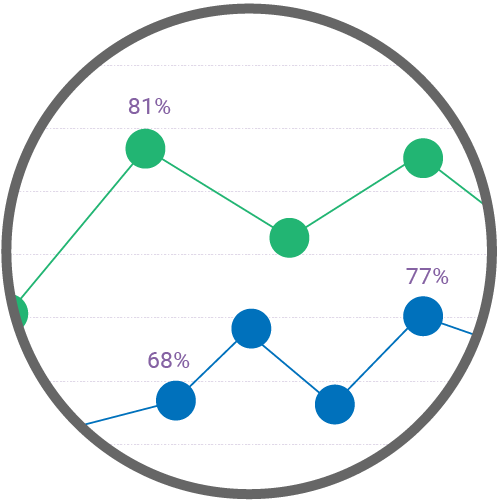 The platform combines registration, scheduling, and tabulation in a single user friendly system. These built in features that will help your manage your dance competitions more efficiently than you ever thought possible. As an event coordinator your job is busy enough, you will be amazed at how much time you will save by using DanceSync. 2. 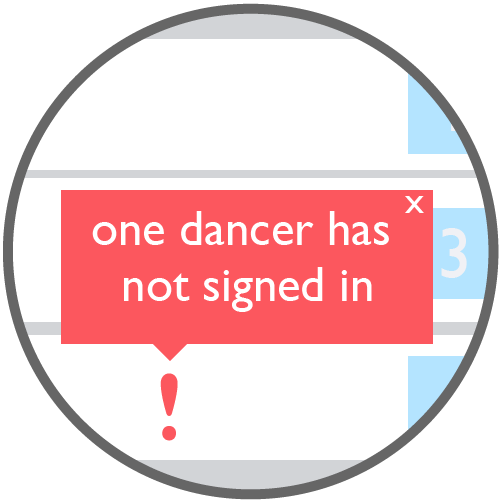 Real-time notifications while running the competitions to show whether a dancer is missing from an upcoming routine or if your event is behind schedule. 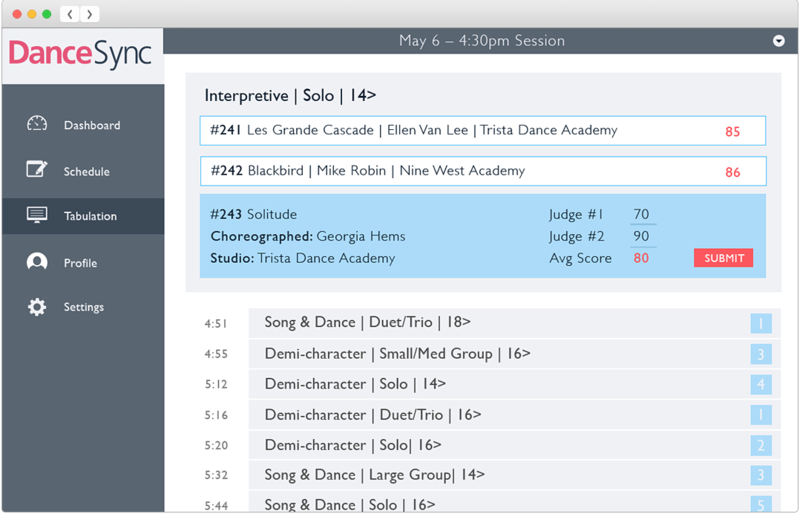 Check in all the dancers sorted by studio in each session and keep your competition on schedule using the integrated Live Dashboard feature. Judges can easily input scores for each dance, add notes, or change the order of routines if needed. 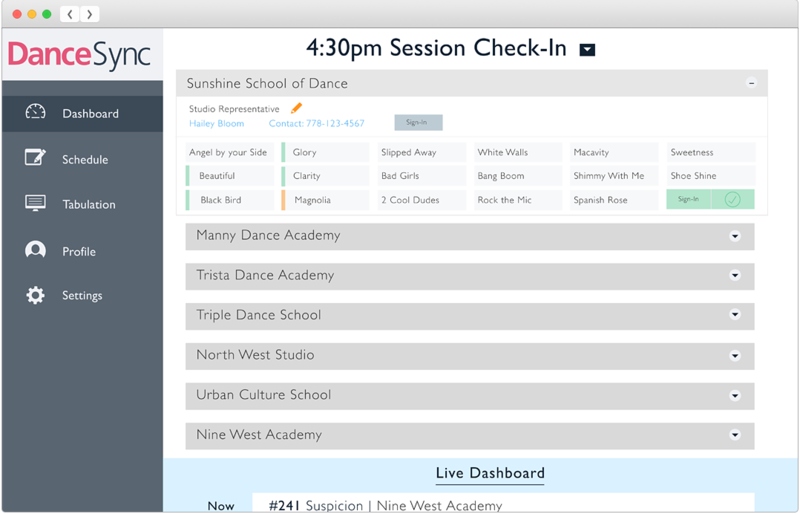 Run dance competitions smoothly and stay organized with DanceSync.